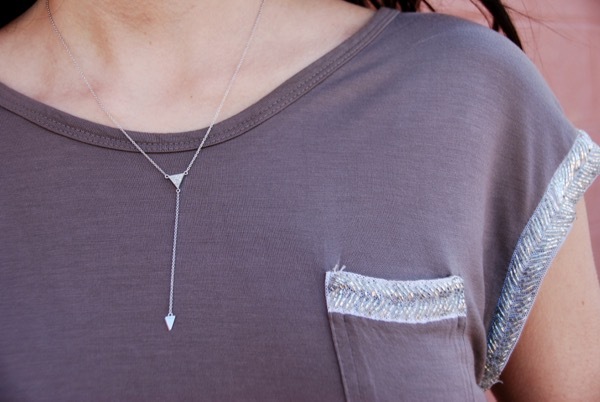 I’m loving the extra sunshine and the good weather we’re having and the fact that I can shed some layers and wear some pretty dainty items like this pavé lariat necklace. Isn’t she so gorgeous with the right amount of sparkle?! I’m also loving the fact that these pants totally feel like adult pajamas. They were practically giving them away at UAL (United Apparel Liquidators) when I went to Austin in January; wow, that really seems like a lifetime away. Anyway, twenty bucks for Current/Elliot is quite amazing. More good news: I’m leaving Friday for spring break! I’m going to visit my friend Jill in Salt Lake City and then fly on over to Denver to visit one of my besties from first grade, Kristin. I can’t wait to see these pretty ladies! Use code: LIKEIT to receive 15% off your entire purchase on Humble Chic NY.